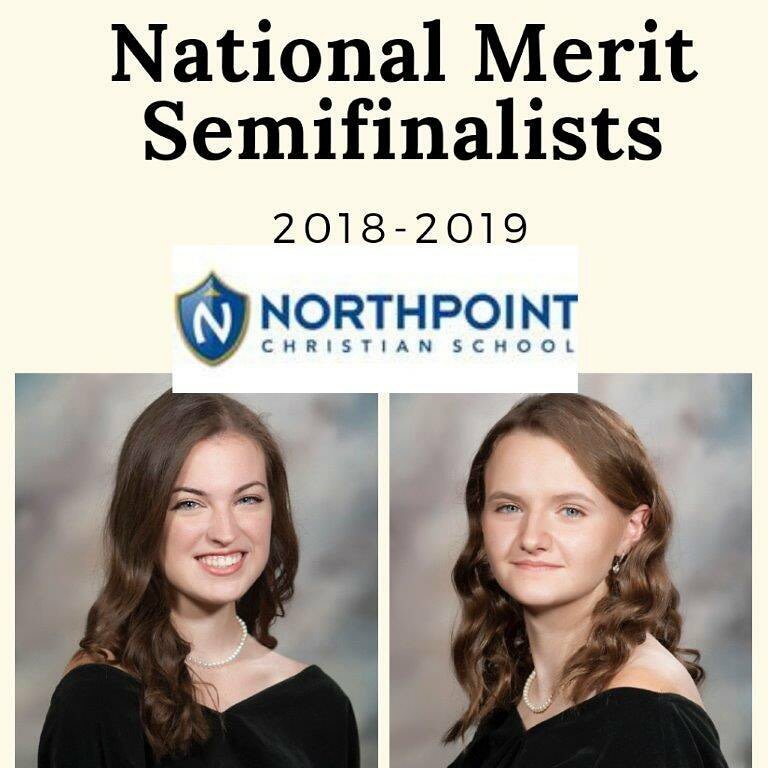 Northpoint Christian School announces Olivia Russell, and Kaitlin “Katie” Williams, are 2018-19 National Merit Semifinalists. About 1.6 million juniors in more than 22,000 high schools entered the 2019 National Merit Scholarship Program by taking the 2017 Preliminary SAT/National Merit Scholarship Qualifying Test (PSAT/NMSQT). Approximately 16,000 students across the country and 138 in Mississippi were named semifinalists as seniors on September 12, 2018. Russell and Williams will have the opportunity to continue in the competition for some 7,500 National Merit Scholarships worth more than $31 million. Finalists are notified in February, and National Merit Scholarships are offered in the spring. Olivia Russell is the daughter of Mary Helen and John T. Russell of Southaven, MS. She has been a Northpoint Christian School student for four years. Olivia is academically in the top 10% of her 81-member senior class. She runs cross country, plays tennis, and is a member of the Knowledge Bowl team. She has a 35 ACT score and works as an ACT tutor. She enjoys volunteer work at Lifepointe Village and at BinghamptonChristian Academy, and served as a VolunTEEN at LeBonheur Hospital this summer. Kaitlin “Katie” Williams is the daughter of Jason and Kim Williams of Hernando, MS. She has been a Northpoint Christian School student for eight years. Katie is academically in the top 10% of her 81-member senior class. She has a 34 ACT score. She competes in endurance horse racing in the American Endurance Racing Conference. She is also a bee keeper. She enjoys baking and crocheting. She founded the Caps for Chemo Club at NCS where she and club members crochet hats for cancer patients at St. Jude. She also enjoys volunteering in Children’s Church at The Outpouring.